This card is a great way to let someone know you’re thinking of them. 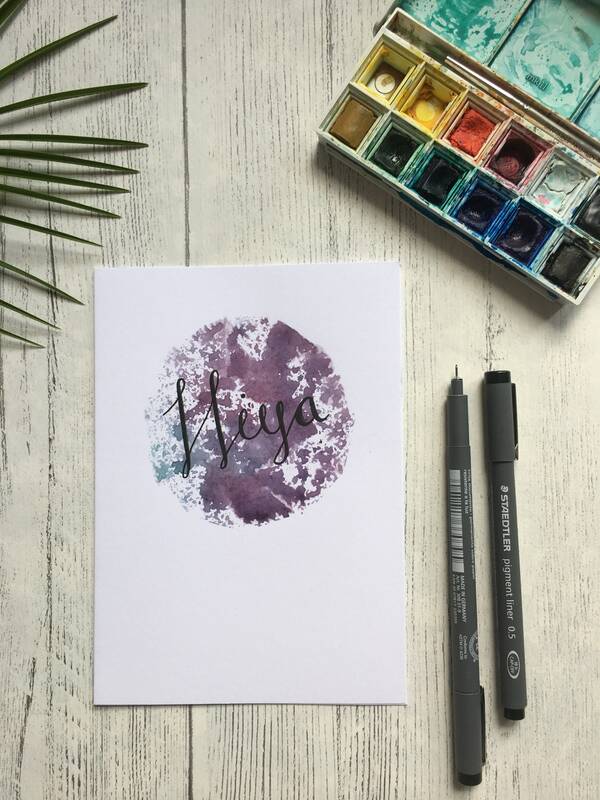 Just say hiya! 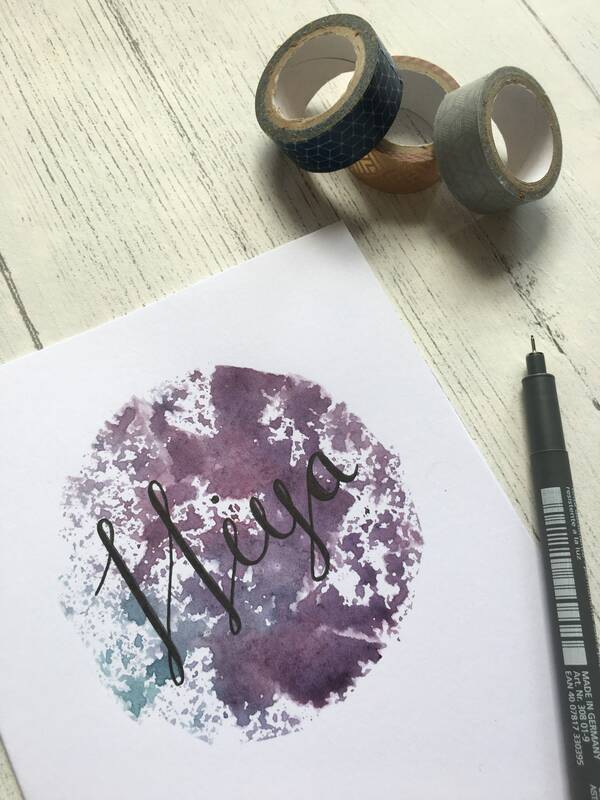 I made this cheerful greetings card using hand cut stamps, a stencil and beautiful watercolour paints to make the bright circle. 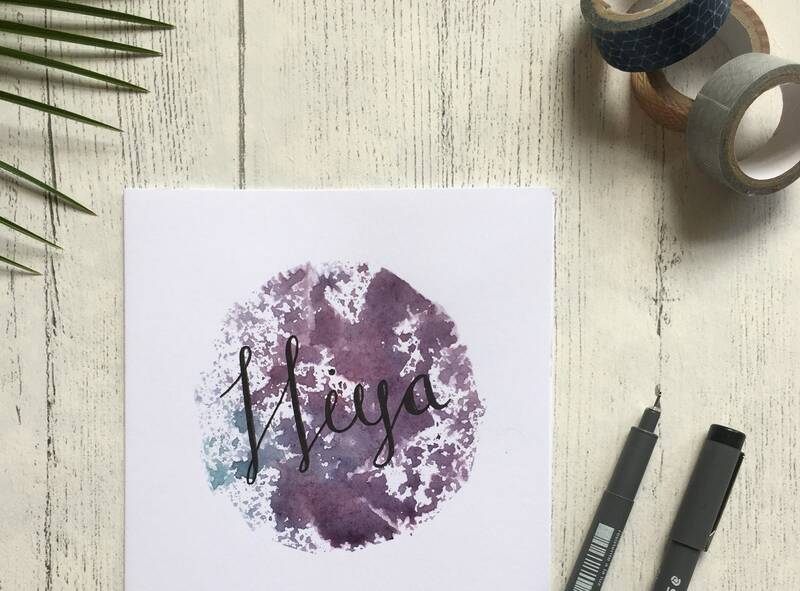 Hand lettering in black allows the message to pop out against the purple background! Each white card is 250gsm and 5” x 7”. 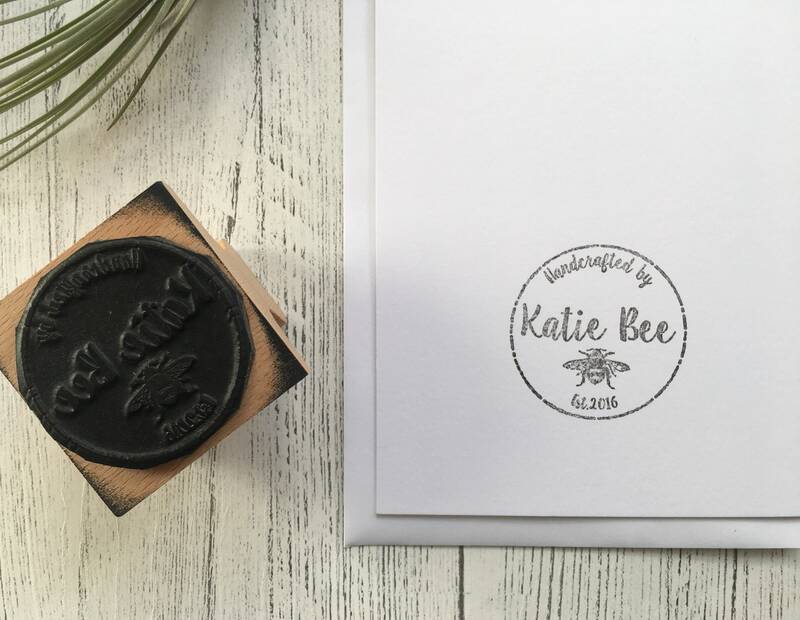 The card is blank inside and has the Katie Bee logo stamped on the back. 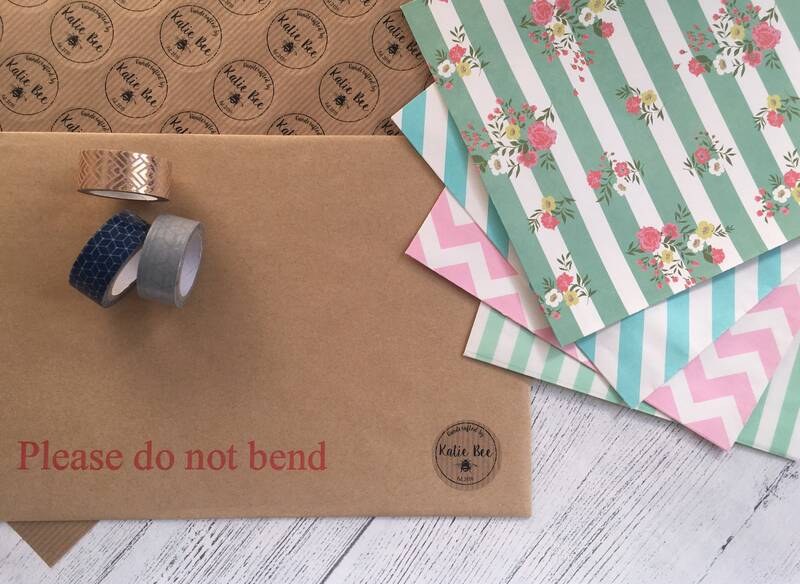 Before travelling safely to you in a board back envelope, the card and it’s white envelope are sealed in cellophane and packaged inside a gorgeous, patterned paper bag!